WASHINGTON — In a dramatic diplomatic turn, President Donald Trump on Thursday called off next month’s summit with North Korea’s Kim Jong Un, calling the cancellation a “tremendous setback” for peace and stressing that the US military was ready to respond to any “foolish or reckless acts” by the North. Speaking at the White House later, Trump said a “maximum pressure campaign” will continue against North Korea and that he was “waiting” should Kim choose to engage in “constructive” actions. One U.S. official said the decision to call off the summit was made Thursday morning in response to the statement disparaging Pence and threatening nuclear war. A White House official said it was incorrect to focus solely on the “dummy” comment, saying that the nuclear threats meant that no summit could be successful under such circumstances. The officials spoke on condition of anonymity to discuss internal deliberations. 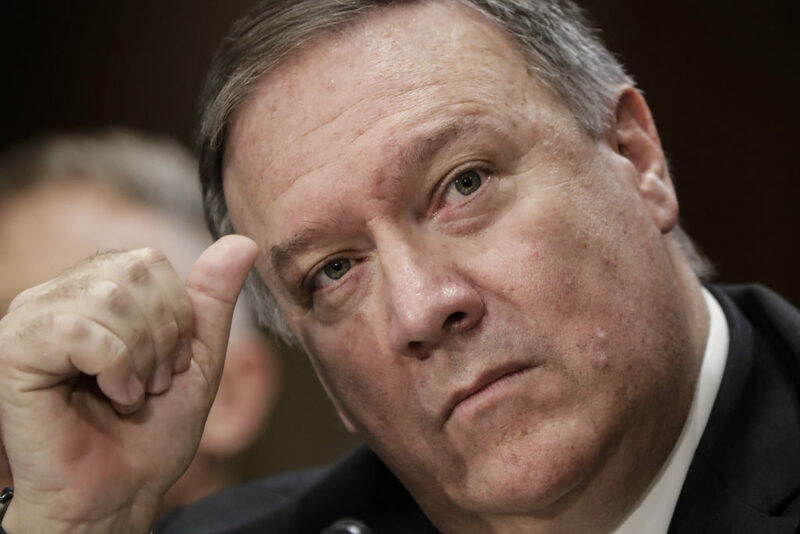 Secretary of State Mike Pompeo, testifying on Capitol Hill, said North Korea had not responded to repeated requests from U.S. officials to discuss logistics for the summit. He told the Senate Foreign Relations Committee the lack of responses was an additional reason for Trump’s decision. Pompeo said the North’s attitude had changed markedly since he returned from a trip to Pyongyang earlier this month during which he met with Kim and oversaw the release of three Americans being held there. South Korean President Moon Jae-in played a major role in planning for the summit and sought to keep it on the rails in a visit to the White House this week. His office said Thursday that it was trying to figure out Trump’s intentions in canceling the summit. 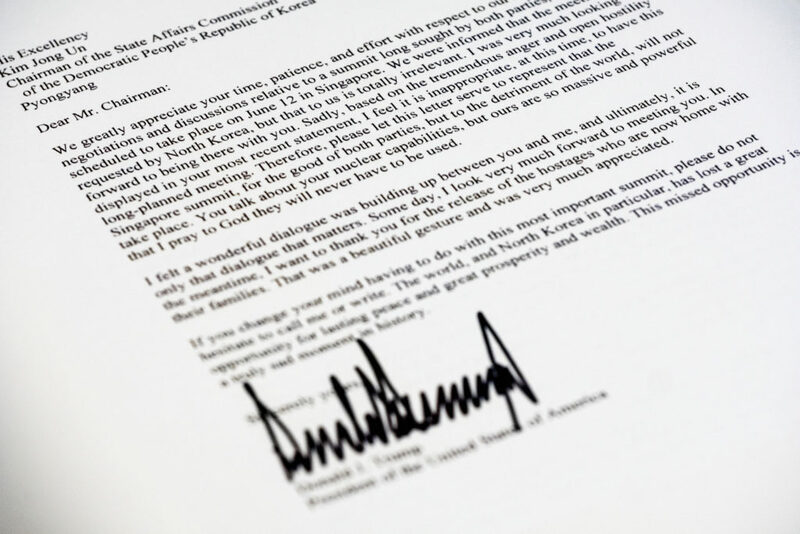 The cancellation came shortly after Kim made good on his promise to demolish his country’s nuclear test site, which was formally closed in a series of huge explosions Thursday as a group of foreign journalists looked on. The explosions at the test site deep in the mountains of the North’s sparsely populated northeast were supposed to build confidence ahead of the summit. However, the closing of the site is not an irreversible move and would need to be followed by many more significant measures to meet the demand for real denuclearization. Trump’s allies in Congress applauded the president, saying he was justified in pulling out of the meeting. “North Korea has a long history of demanding concessions merely to negotiate. While past administrations of both parties have fallen for this ruse, I commend the president for seeing through Kim Jong Un’s fraud,” said Sen. Tom Cotton, R-Ark.